it’s also delicious on just about everything else. Muffins, scones, sandwiches, you name it. 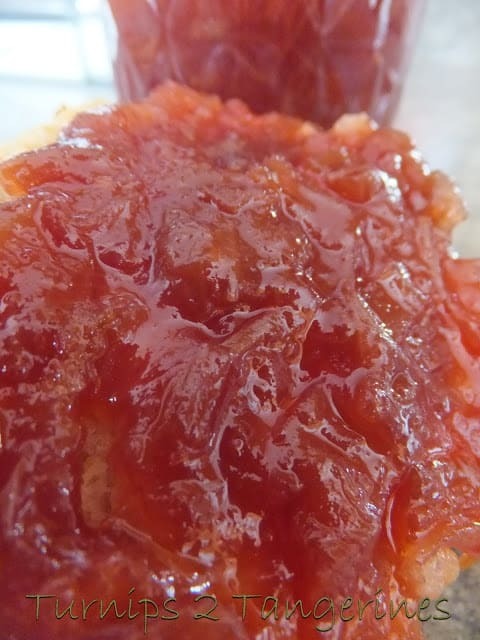 Spicy rhubarb jam is super delicious spooned over a block of softened cream cheese and used as a spread for crackers or as a dip for pretzels. During processing, the food reaches temperatures of 212 degrees, with the boiling-water bath method. Food reaches 240 degrees using a pressure canner. Any air in the container is forced out between the jar and lid. A vacuum is created as the food cools and contracts, sucking the lid tightly to the jar. This airtight seal is vital to prevent invasion by microorganisms. 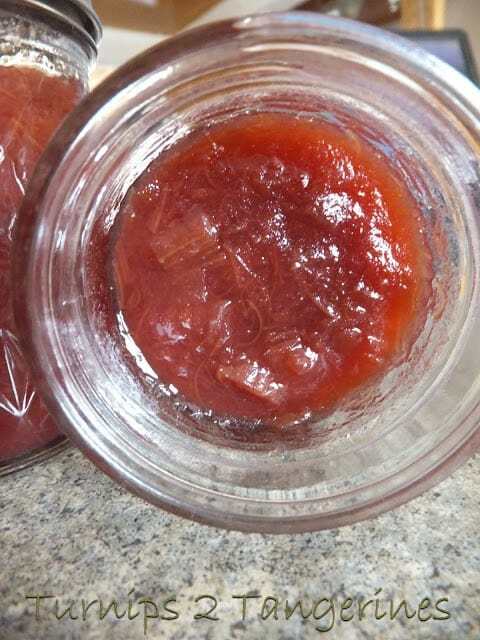 Refer to a cookbook or one of the many websites dedicated to canning. Squeeze juice from oranges. Measure juice, adding water if needed to make 1 cup; set aside. Remove white pith from one-half of orange peel. Cut peel into thin slivers. Combine orange peel, orange juice, dried chili peppers and rhubarb in a large saucepan. Simmer covered about 3 minutes, or until rhubarb is tender. 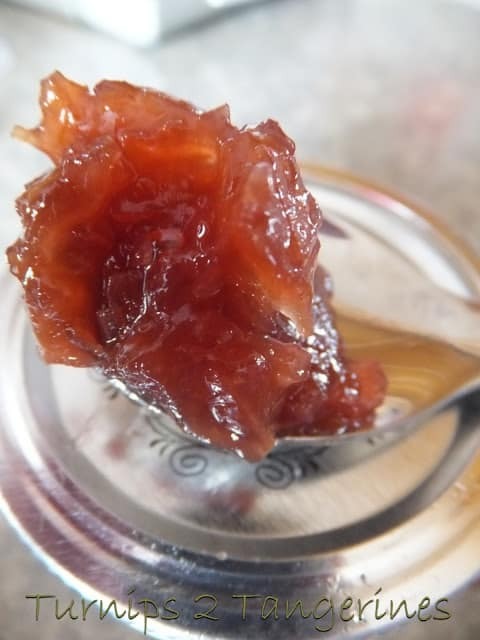 Stir in classic pectin. Bring to a boil. Add sugar, stirring until dissolved. Return to a rolling boil. Boil hard 1 minute, stirring constantly. Remove from heat. Remove dried chili peppers and discard. Skim foam if necessary. Ladle hot jam into hot jars, leaving a 1/4 inch headspace. Adjust two-piece caps. For all of your canning needs and questions stop by Pick Your Own. 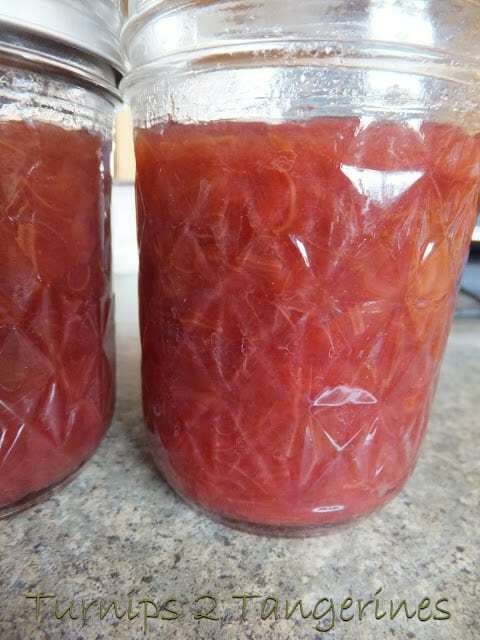 You’ll find everything you need to know about canning. Not only that, you’ll find out where to “pick” your own fruits, vegetables and everything in-between. Pick Your Own has a world of information. 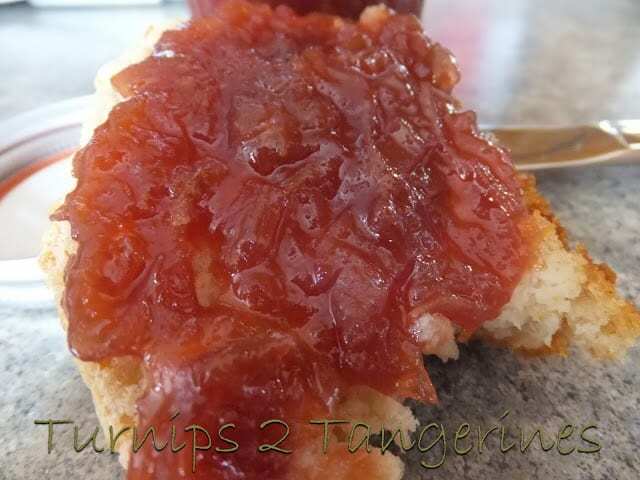 When I first started canning, only a few years ago, I found all my canning information and recipes on Pick Your Own. This looks so amazing!! YUM! Just pinned. Thank you so much for sharing with us at A Bouquet of Talent this week. So thrilled to have you share with us. Happy Friday!! We LOVE rhubarb! Unfortunately it doesn't grow all that well here in East Texas. This sounds awesome though! I wonder if I could use frozen rhubarb instead of fresh? Thanks so much for sharing.